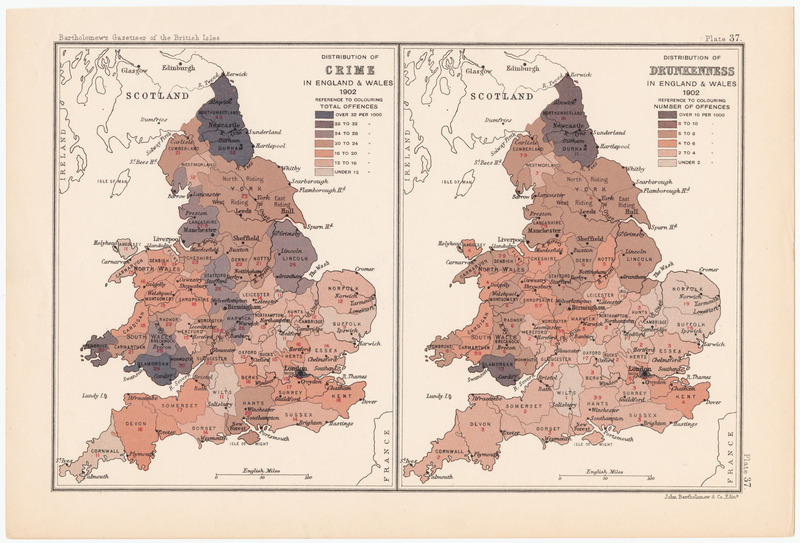 Distribution of Crime in England & Wales 1902. Distribution of Drunkenness in England & Wales 1902. A powerful example of two maps side by side demonstrating at a glance the correlation between drunkenness and crime. Bartholomew, John. 1904. The Survey Gazetteer of the British Isles Topographical, Statistical and Commercial Compiled From the 1901 Census and the Latest Official Returns. London: George Newnes.